Today’s guest post is from Stephanie Staszko, who also wrote an article about designing for children with allergies. In this week’s article, learn some ways to make your home feel larger simply by taking advantage of the natural light streaming through your windows. A few tweaks to your decor can work wonders in the feeling of your space. As winter nears and the dark nights draw in it’s time to start thinking about what kind of lighting will warm up your home and provide you with enough light on these dreary nights. Don’t give up on natural light either though; there are often some lovely sunny (albeit cold) days in the winter months to take advantage of! Light is a fantastic way to create the illusion of space within the home without the hassle of making it physically larger. Here are some interesting ways to play with lighting to increase spaciousness and energy in your home. When painting the walls of your home, remember that soft natural colours will be ideal in influencing that much desired radiant atmosphere. Dark shades have the opposite effect by giving the impression of much smaller dimensions. Freshening up old decor such as the ceiling or skirting board with a new coat of white paint will also instantly lift the room. Painting a different colour on the ceiling to the walls is a sure-fire way to make your room feel smaller. If you really need a splash of colour on the walls then opt for a feature wall. You can then hang some extravagant wall lights on there to keep the wall well illuminated and prevent its bold colours/patterns from creating a ‘drab’ feeling. Sunshine is good for us, it makes us feel happy and lack of it has been scientifically linked to depression. Throughout the winter months, sunshine at night is scarce to come by so make the most of it during the day! 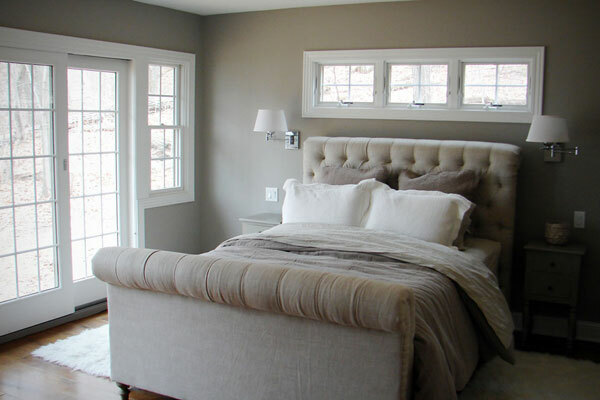 Thick, heavy curtains will only hinder the amount of natural light so ensure you use a light material around the frame instead to ensure as much light is able to infuse through. 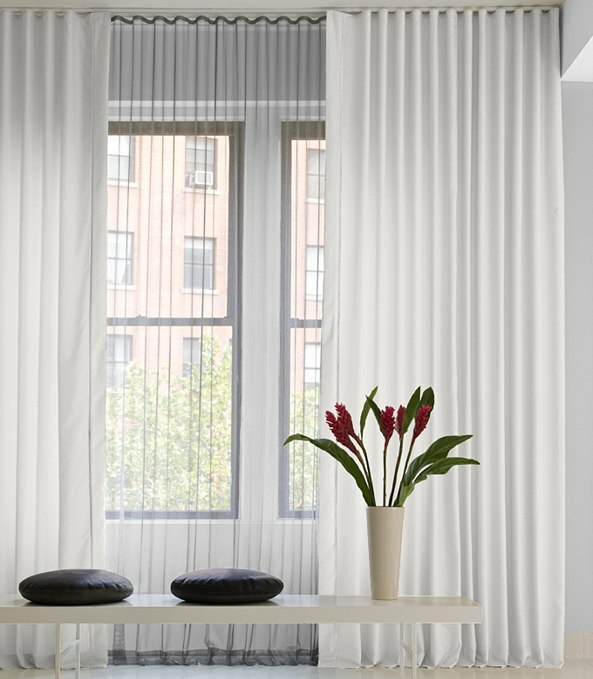 The elegance of voile or any other soft fabric will also make for a fashionable statement within your room. Bay windows are another practical way to introduce plenty of light whilst also providing a comfortable place to sit, unwind and enjoy views of outside. You also get a little extra room as the window bows outwards, they’re perfect for creating a window seat in bedrooms or displaying ornaments on in the living room whilst allowing natural light to shower your home and create a fresh, spacious appearance. The bathroom is typically the smallest room in the house, despite it being one of the most practical rooms. It doesn’t take long before clutter and steam causes the bathroom to appear incredibly cramped, to make the most of your bathroom create some space! If you have a coloured bathroom suite then it’s time for a revamp to get rid of this incredibly outdated bathroom style. Don’t scrimp on storage units either when buying furniture, think vanity units and bathroom cabinets to stow away those unsightly cleaning products whilst utilising space that would otherwise be redundant. 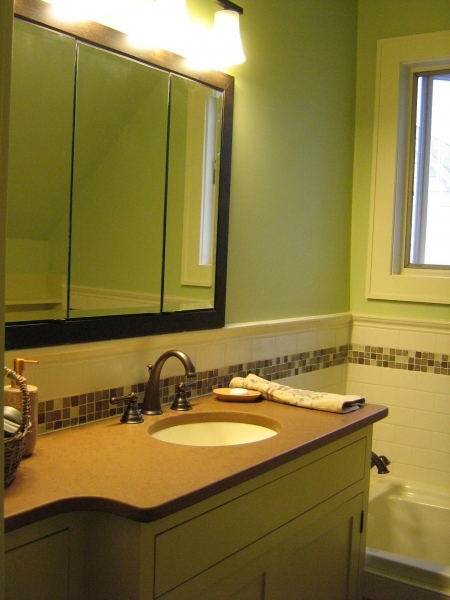 Bathroom mirrors are also a great way to reflect light around the room and keep it nice and light. Recessed halogen downlighters are a popular light fixture for bathrooms as they provide a very bright light and are actually built into the ceiling, so don’t take up any space in the bathroom. It’s incredibly important that when creating space in the home, you utilise the natural light outside to do so. Even the smallest of box rooms can appear larger than they are when the Sunlight beams down on them. Dark, dingy rooms are depressing, old-fashioned and “so last century”! Steph Staszko writes for several websites offering bathroom furniture and fixtures for every home. Head on over to Tapshop321 to source beautiful chrome taps for you bathroom or kitchen, they’re so shiny they’re perfect for reflecting both natural and artificial lighting! Accent Wall: Love It or Leave It?